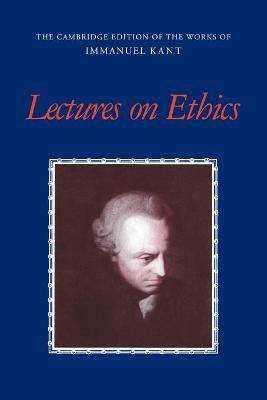 This volume contains four versions of the lecture notes taken by Kant's students of his university courses in ethics given regularly over a period of some thirty years. The notes are very complete and expound not only Kant's views on ethics but many of his opinions on life and human nature. Much of this material has never before been translated into English. As with other volumes in the series, there are copious linguistic and explanatory notes and a glossary of key terms. Introduction J. B. Schneedwind; Part I. Kant's Practical Philosophy: 1. Herder's lecture notes (selections); Part II. Moral Philosophy: 2. Collins's lecture notes; Part III. Morality According to Professor Kant: 3. Mrongovius's second set of lecture notes (selections); Part IV. Kant on the Metaphyscics of Morals: 4. Vigilantius's lecture notes.